It's me, Jessica! Misty asked me if I would revive this blog and, being the word nerd that I am, I am SO EXCITED to share some thoughts with you guys every now and then! I thought a good (and relevant) place to start would be with an article you have probably seen floating around the yoga world: How Yoga Can Wreck Your Body by the New York Times. As a journalist, I see a title like that and cringe – biased much? But upon further reflection, I actually think this article has some good points and it discusses a few things we should definitely be mindful of. First of all, I think we've ALL heard that “you are your own teacher” and you should “listen to your own body.” These things sound really nice – in fact, I love to say them to my classes because I think it takes a bit of the pressure off students. However, because we can (usually) never leave ego completely out of the mix, sometimes we hurt ourselves by going too far or too deep in a pose. Am I right? I know I've been there. My vice is often chaturanga; I struggle to do them correctly and, if I'm not careful, can end up with sore shoulders and an aching lower back. So, I've had to learn to back off sometimes. I've had to check my ego on the mat and ask myself WHY I feel the need to cycle through each and every chaturanga. Is it because I want to simply power through and do it because everyone else is doing it – which is not yoga – or is it because it would feel nice and my body would enjoy the movement? All this to say – yeah, your asana practice can be a dangerous thing if you're not listening extremely closely. Obviously, any physical activity one attempts can lead to injury if not performed safely and with care. That's why alignment is so important in an asana practice, as well as serious attention to the breath. If the breath is becoming ragged and you're exhausted, why in the world would you go for another chaturanga (speaking to myself here too, y'all)! Back the article itself: it talks about “master” yoga teachers who have suffered serious injuries after years of practicing and who have required surgery to fix their ailments, and also discusses a student who experienced a stroke while in wheel – and that's just a small portion of the horrors described. Certainly. But it doesn't mean we can't or shouldn't continue to enjoy our asana practices. I think, if nothing else, this article can help us cultivate a healthy sense of awareness for the practice we love so much, and maybe help us keep that ego in check. I don't believe that it should scare us off the mat or make us afraid of certain poses – but instead of just throwing our bodies into the pose, let's remain mindful of both the benefits and dangers. Knowledge is power, right? I could ramble on and on about this, so I'm cutting myself off (much like I have to do at Rosepepper... oh, wait...) – now it's your turn to sound off about this controversial article. What do you think? Have you ever hurt yourself during an asana practice? Share your story in the comments section! Thank You Chris for sharing! We love to here from you! I have been going to The Hot Yoga House since January 2nd so I am just coming up on the end of my second month. I went into the experience with few expectations but many hopes. I had researched yoga as a practice and had a little information and a lot of desire to get back into balance and shape. I found that a lot of yoga practices focused on a group of poses that would help you come back to an internal balance. Then there is hot yoga that adds heat and humidity to help to loosen the muscles and open the internals through the breaths. Since this is fairly new to this area and sounded perfect for what I wanted this was what I signed up for in my new year’s changes. My first class I felt pretty clumsy, way out of physical shape and definitely challenged. The first class was very slow and was geared toward the first time student. This was a great thing given how much I was thinking at the start of the first 75 minute class "What in the world have I gotten myself into." But as minutes passed, and the heat kicked in, I found myself relaxing and just trying to flow to the best of my ability with the poses I was being offered. Now I did fall out of my poses often as my body protested emphatically about being told to get into poses I had never experienced but I continued at my own pace through class and soon we were lying on the mat in our final position for the day. I walked out of there feeling like a pencil with rubber bands for arms and legs but in my head I was clear. At this point it was clear that this was something that had in 75 short minutes become a part of my life I wanted to continue. So now we get to some of the key things that make The Hot Yoga House so much different and a place I love and highly recommend. One of the keys to growth in any exercise program is cardio. You must get the heart rate up to burn calories. This is done through both slow and quick transition movements that allow the heart rate to get to an accelerated rate. There are also deliberately slow points in the sets that allow the heart rate to come back down before it is raised again. Now for those of you who like to count calories, we are talking 600 to 1000 calories burned per workout. Now let’s talk about a key factor that allows The Hot Yoga House to excel over many others. When trying to build muscle one of the key components that will allow for optimal muscle regeneration is called muscle confusion. Any of you who have caught the Power 90X commercial on a Saturday or Sunday morning have heard that this is one of the keys to their system also. This is where The Hot Yoga House excels. I my time there I have been to 25+/- classes and have yet to go to two classes that were identical or, for that matter, even close to one another. Every class is difference and leads you though different poses and focuses (i.e. core strength, flexibility, stretching, etc.) but at the end of the class it is all the same. A feeling of release. Here is another key to building muscle that is only recently getting notice, balance. Balance is also a key in allowing the muscles to grow or rejuvenate whatever you goal. This is also a key component to yoga in any form. As are muscles are re-taught to support the way they were designed to, they allow us to balance better. This balance will help you with so much of your daily life or your workouts if that is more your focus. In your daily life, it will help you walk easier, go up steps easier, sit up straighter and so many other things. We often forget how much balance plays a part in our lives. If you are a "gym rat", it is balance that allows you to do you lifts correctly, to attack both side of the body evenly, run faster, play racket ball better and the list continues here too. Now for my last benefit, though this is just my view, flexibility. Few other workout practices work on flexibility as a core part of the system. Most other leave you feeling tight and in need of a sauna of hot tub. Not here. Any yoga practice will allow for you to gain flexibility through repetitions and movements designed to stretch muscles and open joints. Now imagine you are doing these same things in a sauna. Now you have hot yoga. You muscles get warm and in doing so are able to gain flexibility much quicker. I must say that in the short time I have been doing this my flexibility has drastically improved. I can now stand in "Tree" just fine where as when I started I could barely pull my foot up over my knee. So now that I have tossed out my spiel, let me tell you about results. I have been doing hot yoga and The Hot Yoga House now for nearly 2 months. I have lost 19 pounds, have gained core strength in both my stomach and back, I stand up straighter, I can now stand unassisted and lift my leg to put on a sock or shoe, I run faster and longer and I am happier. Now most of you know I am Mr. Happy anyhow and ever so annoying at 7:00 am but I truly am happier now that I have been in years. I could not have done any of this without my friends and instructors at "The House". Now as I get ready for the next great challenge in this journey, I am looking forward to going in, laying out my mat, having some fun with my friends and enjoying one of the places I call home, THE HOT YOGA HOUSE in Goodlettsville, TN. How Does Your Yoga Grow? Have you ever come up against a yoga asana that confronts you and challenges you in a way you're not sure you can take? I have. Last summer, my world felt like it was spinning out of control, and I was wearing myself out doing everything I could to keep it together. Every time I found myself moving into Pigeon, my hips would open up pretty well, so far so good, I could begin to walk my hands out, still feeling ok, but if I tried to let go and rest, I went into a panic. I couldn't breathe. My heart started racing, and I was immediately overcome with terror. At first, I reacted in fear and would instantly come up out of it, come to a place where I could breathe again and feel in control. Pigeon was not my favorite asana, and for some reason, it sure felt like we did a lot of it last summer. One day later in the season, I found myself in Pigeon yet again. This time, as my pulse quickened and I felt the familiar sensation of not being able to breathe, something inside me asked if I could be present for just a moment, if I could try to sit with those feelings of being out of control, if I could intentionally breathe, even if it was shallow at first, and honestly assess the situation. Doing so, I found that I actually had no trouble taking an inhalation, but it was nearly impossible for me to let go of an exhalation. Mentally drifting over all the circumstances in my life that felt on the brink of disaster, all those situations I was straining to maintain my death grip of control over, it hit me. I was terrified of letting go of anything - even my breath - because I had come to rely so heavily on this semblance of control I had conjured up to process my life. But I don't have any control, not really. Whatever is to happen will happen, and I can struggle and fret and kick against the unknown future, or I can choose to live in the present, accepting whatever comes with gratitude, and continue to breathe. That day, I began to let go. Focusing intently on my exhalations, I determined to release the strangle hold I had on my breath, and off my mat, I felt myself beginning to release those situations and circumstances that caused me such fear and pain. Letting go of my exhalations, I could simultaneously let go of my desperate need for control, and as I released my false sense of entitlement over the way things turned out, I found it easier and easier to exhale. These days, I can not only rest in Pigeon, I have become better at taking life as it comes. Although I still have a long way to go, and there continue to be new asanas that arise to confront and challenge me, I am grateful for the mental and spiritual benefits I gained from what I thought was a purely physical asana. So how about you? Have you confronted a greater life issue through a challenging asana? Are you experiencing something like this right now? Please share in the comments. What's up with that title? What do traffic, rheumatoid arthritis (RA) and yoga have to do with one another? Well let me try to link them together in my simple little mind. So I've had RA for about 13 years. My fingers and my toes are mostly affected but I have to tell you that the simple PHYSICAL asana of yoga changed my life with my RA. I have been able to keep the function for the most part (I'm not gonna lie the HEAT is the biggie). I've been pretty comfortable in my practice, I've tried to concentrate on the flexibility of my fingers and toes knowing that one day I may have joint deformities that could inhibit my movement. Sometimes the joints in my toes flare so to stand and try to balance is very painful, and other days there isn't any. Over the last two months my joints have started to change, they have continued to swell and asanas that were very "simple" for me before have become very painful, even a downdog or simply standing in tadasana. NOW I could roll up my mat and say well if I can't do those basic simple things then what kind of "yoga" practice can I have or much less teach my students. BUT I can choose to listen to my body, be grateful I can still get up every morning, I can share my story, keep moving and find NEW ways to get the blood flowing to heal my mind and body..........Get it...THIS is where it all comes together! WOW I am thinking THOSE are the things we want to make our world and lives better and stronger and happier! That's where it all comes together.....whatever you choose to build on the mat that's what is going to get stronger. You can feel the physical when you do 108 chaturangas (ha ha) the mental is harder to "see" but where the true magic happens! It's all a practice....life...yoga...patience...stillness....happiness....gratitude..... come to your mat! I know you've felt like saying that sometimes during class....maybe you HAVE said it during class, but what happens when an instructor reminds you to breathe? You probably become aware that you were holding your breath or that you had lost control of the pattern of your breathing or a calmness flows thru you because you ARE consciously BREATHING! Even when you feel like screaming because we are saying it AGAIN you become aware of your breath and that's all you have to do in yoga! YEP let your breath be your guide! IF you truly listen to your body it will always tell you exactly what it needs, what is feeling good, what is feeling not so good. It will allow you to go deeper or it will tell you that's fine it's enough right now. Why is that we can listen to someone else tell us those things but we cannot listen to our own body!? Hopefully when you come to your mat that is one of the lessons you are learning....to slow down and really listen to what you need, it's all right there, whispering to you. We are all on a journey, we all go on different paths, some of us get lost and wander off but find our way. When we aren't sure at times which way to go we may stop and ask friends or strangers for directions or "what would you do" (or if you are a guy you may never ask for directions) But again, we ask someone else for something about OUR life and sometimes we listen and depending on the answer you may still be lost! Guess what? We had the MAP all the time! We are all born with a map it's called your BREATH! God Breathed into Adam's nostrils and he became a living being! We have all been given that same LIFE and BREATH! So why in the world don't we listen to it. Have you ever noticed HOW you are breathing when you are pondering on something? Is your breath shallow or deep? Is it rapid or calm? Are you lungs even filling, or is your belly fully rising and falling? IF you slow down and really become aware of your breath it will tell you ever time what is right and what is wrong for you in that moment. We all are given this gift we just have to tap into it. Slow down today.....enjoy the colors of fall.....BREATHE in the crisp fall air....feel the sun on your face. Know that you are special and that you have the answers if you slow down enough to become aware. Come to your mat this weekend, become aware of your breathe, learn to use this innate gift, I promise you, you will never regret it! Outdoor Yoga, Watercolors & Wine, Thai Partner Yoga...OH my! Yoga can be up confronting, it can even make you feel uncomfortable at the beginning but then something magical happens. You decide to really listen to your body, to slow down the thoughts that seem to take over your mind, you start to feel the your breathe and how it can actually move you and transform....REALLY!? What are you waiting for? We've been having a great time this summer! YES the heat is on INSIDE and OUTSIDE but these are the best times to practice a little patience! Summertime seems to be one of the busiest times of the year so why not SLOW DOWN! Yoga can teach you to honor yourself, to be "Selfish" (to think of self so you can give of yourself more or less). What are you doing that keeps you from being who you want to be? One of the biggest life lessons I have learned from yoga is the act of slowing down and to truly be still (no comments from those of you who know me and my ADD very well!) Some days it's just about sitting in the meditation room quieting the mind, other days it's pushing my body to make the reconnection between mind and body....but it's all yoga...! We have a great time here....I am so blessed to have such great people that come thru these doors...they truly make the "house" a "home"! Such a cliche' I know but if you haven't experienced it then come here and you really will see and feel what we mean! I am so thankful for those of you who make the drive, who come in the heat, who scramble to leave work to make a class, to everyone who at least tries our hot yoga, YOU are why we are here! We have lots of opportunities for you to come...not sure about yoga...how about come meet our gang at another event....arts, Thai, Tie-Dye, movie night....maybe a RV ASANA trip? We have lots of chances for you to just come visit hang with us and see what makes yoga different from anything you have ever done! Trying to post pictures of all our recent events! Not computer saavy so be patient! I was asked to put this on the blog and I had to laugh because I am such a horrible writer, I write like I talk so it gets a little "wordy" (no comments) but it was something I mentioned in class during your final savasana...maybe you can relate..maybe it will mean something to you...if so I am glad and if not I'm still glad! 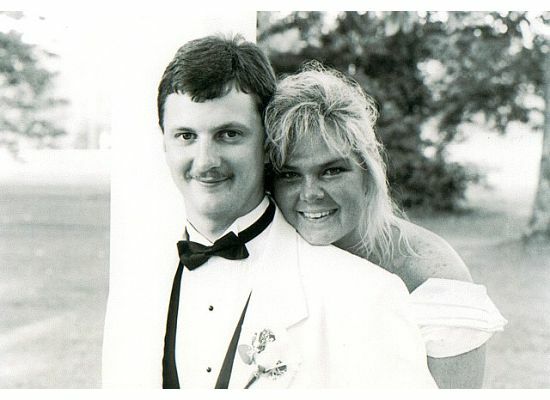 I celebrated my 15th wedding anniversary this week and did you know that it's the year of the "clock"?! You know that thing that Hallmark probably came up with I'm not sure but each year there's a special gift....your 1st anniverary is PAPER...your 5th anniversary is WOOD?....25th anniversary SILVER...and 50th anniversary of course your GOLDEN! How in the world do people come up with these? It got me really thinking...Hummm....1st anniversary okay PAPER? Maybe to write down all those blissful wonderful things to each other because heck it's your 1st year of marriage and you are still in that in love stage that the other can do no wrong...RIGHT! And maybe I get your 50th and why it's GOLDEN..Gold is a precious metal, something refined, smooth all those rough ages are soft, worn and comfortable...I can get GOLDEN! But really 15 years is a CLOCK? What's up with that? Well maybe because at 15 years it's not been THAT long since you've been a newlywed. You can still remember how sweet things were, marriage is still young, maybe your just getting settled in. But yet it's been long enough where maybe you are looking into your future, retirement or maybe you have kids and they are getting older so you can start to see life as a "couple" again. SO maybe that's where this CLOCK comes in....it reminds you to be in the PRESENT....stop looking back, you can't change it, it's shaped you into who you are as a person and a couple, and stop looking into the future, it will happen EXACTLY how it's suppose to happen so don't rush it..enjoy the PRESENT...a CLOCK...TIME...BE IN THE MOMENT! Yep I don't know if time on the mat has taught me to live in the moment or if at times I've been so busy looking back and waiting for the future that I forgot the MOMENT! Maybe we all need a big clock that just states "It's Your Time". You are exactly where you are suppose to be so be in it! I'd love to hear from you....share your ideas/thoughts....blessings to each of you! Come in and sit a while! Blogging seems to be the "hottest" thing since Hot Yoga, so we decided to join in! Here's a place to share your love, passion, and feelings about Hot Yoga! We are hoping that this blog becomes somewhere safe you can ask questions, suggestions and to share your personal stories along your yoga journey. We are all on this path together and we here at Hot Yoga House care deeply for each person who visits us here at the "house" or here on these pages. Enjoy these posts and links, they are to some of my favorite yoga sites! SO please post your comments you can always use your name or go in disguise it all works! I am hopeful this brings comfort....knowledge....peace...patience....clarity....so close your eyes..... breathe....... and enjoy the virtual "savasana."